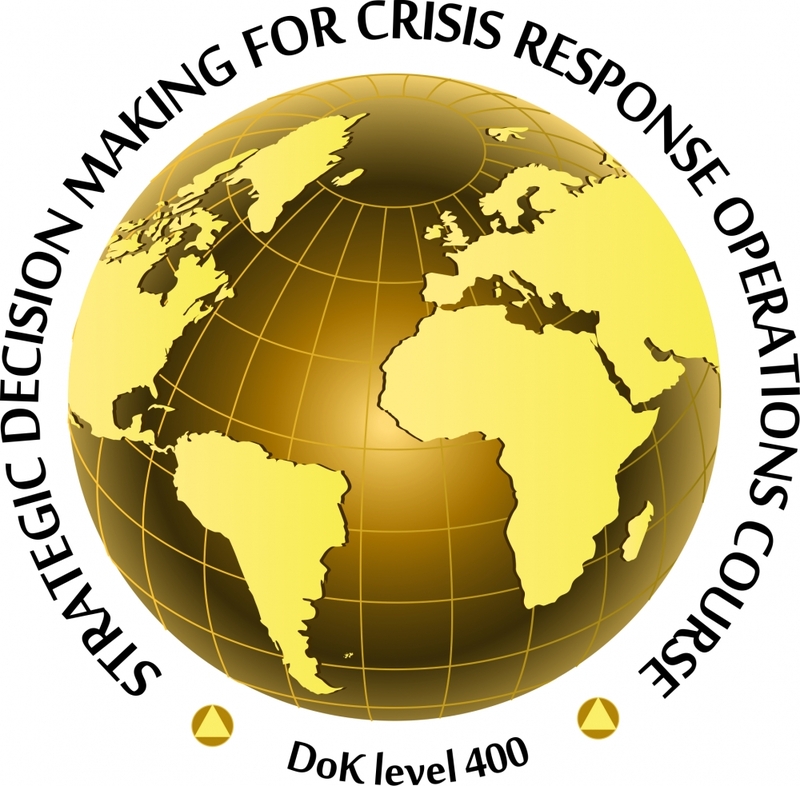 The CMDR COE resident, NATO SELECTED, Strategic Decision Making for Crisis Response Operations (SDMCRO) Course will take place on 18 - 22 November 2019. To provide participants with extensive knowledge on NATO Crisis Response on the politico-strategic level within a framework of a Comprehensive Approach to security. Military officers (OF-3 and higher) and/or civil equivalent assigned to NATO HQs and agencies; NATO Ally and Partner nations′ Ministry of Defence and subordinated HQs; Ministry of Interior, and Ministry of Foreign Affairs, dealing with crisis management at a politico-strategic level. - Assist in SACEUR′s strategic military advice development by performing drafting of strategic assessment, while applying the Comprehensive Operations Planning Directive (COPD). The course consists of interactive lectures, practical tasks on a scenario-based case-study, and individual and syndicate work presentations. The study method used is premised on the principles of adult learning so as to allow trainees to be actively internalising and processing new knowledge. Formative and summative assessment will be made on in-class activities and will be monitored by dedicated mentors. The command of English language should meet the criteria stated in STANAG 6001- 3232. Equivalent civilian certification will also be accepted. Mandatory online registration should be completed as soon as possible, but no later than 18 October 2019. The required minimum for course conduct is 10 participants, and the maximum – 30.